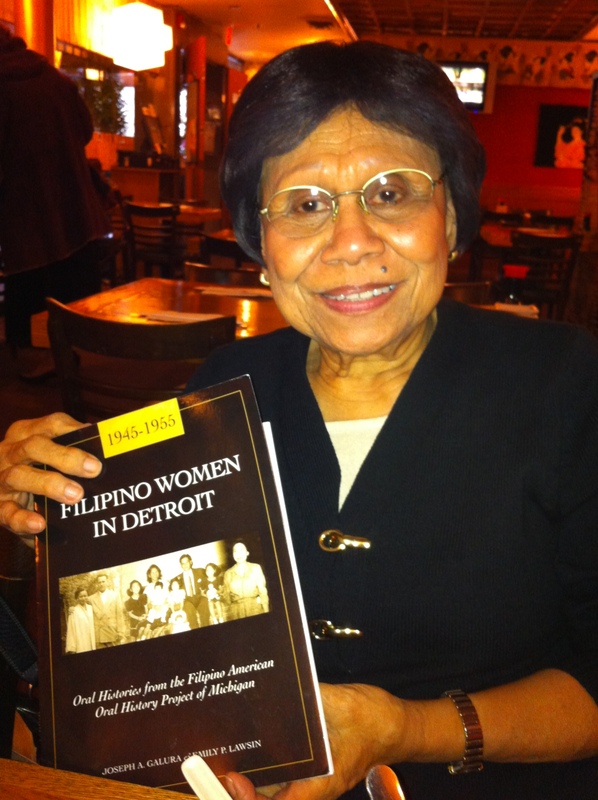 With immense sadness, we mourn the passing of Filipina American pioneer, Isabel A. Galura, who was one of the three narrators featured in the book that her son, Joseph, and I co-authored, entitled, Filipino Women in Detroit: 1945-1955, Oral Histories from the Filipino American Oral History Project of Michigan. “Belle”, as she was affectionately known, died on Friday, July 10, 2015, after a courageous battle with cancer. Isabel was born on June 5, 1932, in Bangar, La Union, Philippines, and immigrated to the United States on July 4, 1954, as the first Filipina accepted to the post-graduate internship in clinical dietetics at Detroit’s Harper Hospital. The few Filipina American women in the area befriended her and eventually introduced her to the man who would become her husband, Atilano Galura. When I first met Tita Belle almost 15 years ago, she and Joe invited me to her home for a delicious meal of Filipino food and then asked if I was interested in seeing some of her late husband’s photographs. She brought out several boxes that had letters and material artifacts, all neatly preserved in file folders, dating from the 1920s-90s. I peeked inside a crisp envelope and my hands began shaking when I found her husband’s boat ticket to America, dated 1929! Later, Tita Belle became the driving force behind our Filipino American Oral History Project, as she would open up her address book and call her friends from the Filipino Women’s Club of Detroit (founded in 1952), encouraging them to be interviewed for our project. In 2004, Tita Belle became a founding member of the Filipino American National Historical Society Michigan Chapter (FANHS-MI) and was appointed Assistant Treasurer. She actively participated and regularly attended FANHS-MI’s intergenerational Filipino Youth Initiative classes every Sunday at the Philippine American Community Center of Michigan (PACCM). Memorial services will be held this Sunday and Monday, July 12-13, in Westland, Michigan (see below). Maraming salamat po / many thanks, Tita Belle, for being a mother/Lola-figure for me and so many others. We are eternally grateful for all that you did for us and for our community. Mahal kita / I love you and miss you. Isabel A. Galura, a resident of Westland, Michigan, passed away on July 10, 2015 at the age of 83. Isabel was the beloved wife of the late Atilano; the loving mother of Joseph (Catherine) Galura, Anna (Louis) Smutek and the late Peter; the dear sister of Georgia (Cirilo) Leoncio; and the cherished grandmother of David and Genevra Galura and Christiana and Andrew Smutek. Isabel will be resting at the L.J. Griffin Funeral Home in Westland (7707 Middlebelt Road at Ann Arbor Trail) on Sunday, July 12, from 3-9 p.m. There will be a Rosary at 6:30 p.m.
She will be Instate at 11:30 a.m. on Monday, July 13, at St. Damian Catholic Church, 30055 Joy Road (West of Middlebelt) until the time of her Funeral Mass at 12 p.m. Her final resting place will be Holy Sepulchre Cemetery. In lieu of flowers, the family would appreciate donations in her memory to either the University of Michigan Cancer Center, or the Philippine American Community Center of Michigan (17356 Northland Park Ct., Southfield, MI 48075). I can’t sleep. Yesterday, I stayed offline, worked all day and night, then found out about the sudden passing of a gifted poet, hip-hop emcee and b-boy, John Vietnam Nguyen, who drowned while trying to save a friend’s life yesterday, at the age of 19. When he was a high school student, John was a member of the Multi-Cultural Youth Program in Chicago. He lead an interactive youth workshop and performed at the “Out of the Margins: Asian American Movement Building” Conference that our Asian/Pacific Islander American Studies Program sponsored in March, 2011, at the University of Michigan. I am thankful to UMich alum Steve Hosik Moon for introducing me (and so many others) to John. When I can’t sleep, I write. I wrote this poem in the middle of the night, for John, for Steve, and for everyone trying to make sense of this tragedy. A talented optimist, John would always sign off messages, telling folks to “stay up” and I always liked that better than “hang in there”. Rest in Poetry, Peace, and Power, John Vietnam. Love and prayers to you, your family, and friends always. Thank you for being you. John Vietnam Nguyen performs at an Asian American Movement Building Conference at the University of MIchigan, March 2011. Photo by Ahmad Fuad Rahmat. spinning rhymes with inter-generational revolution. you, MCYP’ers fiercely rockin the mic. patting your chest like a heart beat escaping. so he could teach all of you. when you were only 17, 18, 19 years young. stories that made the dancing streets cry for our people. leaving us drowning in lakes of our tears? Emily P. Lawsin has been performing spoken word poetry since 1990. She teaches Asian American Studies at the University of Michigan. Cooney Funeral Home, 3918 W. Irving Park Road, Chicago, IL. Tuesday Sept. 4, Visitation: 9am-11am, with Eulogy and funeral to immediately follow. 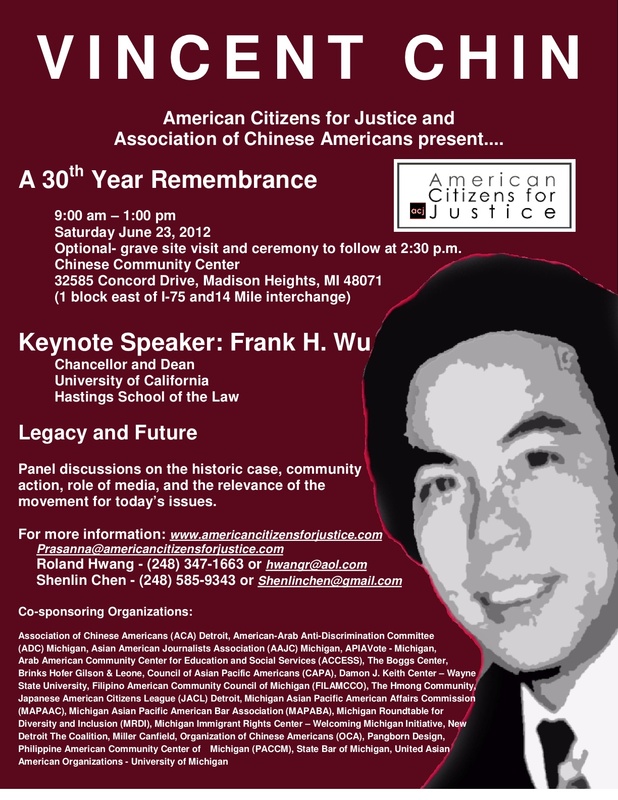 I am honored to be invited to perform a poem at the gravesite of Vincent Chin, during the 30th Year Remembrance, this Saturday, June 23, 2012. See below for the Detroit-area commemorations happening this weekend. Hope to see you, and if not, I hope you are doing your own part to remember Vincent Chin; help stop hate crimes and anti-Asian violence. Rest in Peace, Vincent Chin (May 18, 1955 – June 23, 1982). 3PM Visit to Gravesite, Forest Lawn Cemetery, Detroit, Featuring Poet Emily P. Lawsin. Followed by a Tour of Asian American historical sites, lead by Detroit Asian Youth Project. Forest Lawn Cemetery, Detroit. Photo © by Emily P. Lawsin, June 23, 2010. Detroit Chinatown Mural, 425 Peterboro St (and Cass), Detroit, Michigan. Designed in 2003 by Tony Osumi, Soh Suzuki, and Scott Kurashige, with youth and community members from the Detroit Chinatown Revitalization Workgroup (Detroit Asian Youth Project) and Detroit Summer. Photo by Soh Suzuki. Sponsored by Detroit Asian Youth Project and Detroit Summer. Click here for the Sunday event info on Facebook. 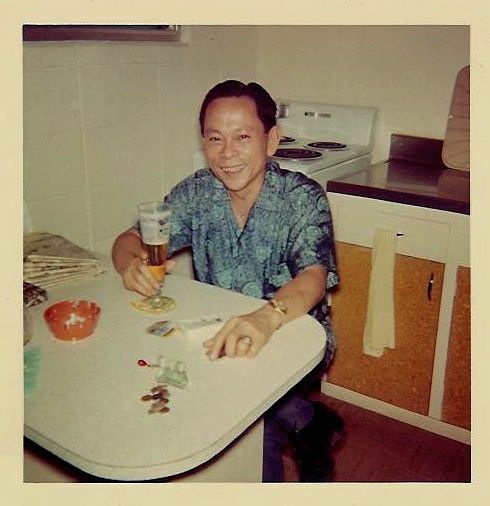 To learn more about Vincent Chin, see Helen Zia’s book Asian American Dreams. In 2002, Amerasia Journal 23:3 published reports from Detroit’s 20th Year Remembrance, including a piece “Detroit and the Legacy of Vincent Chin”, by Scott Kurashige. 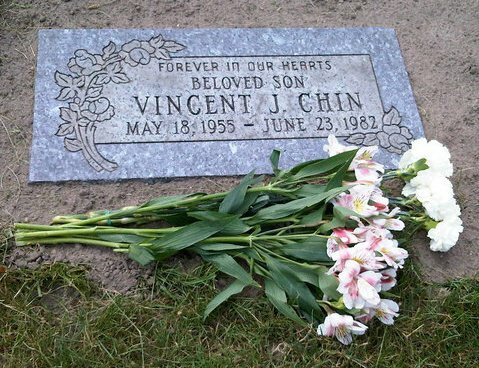 Yesterday, The Detroit News published a pretty good article, “30 years later, Vincent Chin’s family awaits justice in fatal beating”, by Shawn D. Lewis: http://www.detroitnews.com/article/20120621/METRO/206210385#ixzz1yVGcYPNG. It is with deep sadness that we share the news that Tomasa Parinasan Balberona, one of the three women narrators of our book Filipino Women in Detroit: 1945-1955, died last Thursday, December 8, at the age of 87. As one of the first Filipinas to immigrate to Detroit in 1947 under the Fiancées Act, which temporarily waived immigration quota restrictions for alien fiancées or fiancés of armed forces personnel, she was a pioneer in the local Filipino American community. Tomasa, or “Aunt Masy” (pronounced “MAH-see”), as she was affectionately known, was born on December 29, 1923, in a rural area of Cebu City, Philippines. The eldest daughter of seven, her father was a farmer and carpenter, who, with her mother, protected their family when World War II erupted in their hometown. After the war ended, Aunt Masy took shorthand and typing classes, and one day accompanied her sister to the nearby camp to do laundry for American servicemen stationed near their province. There, she met Homer Sheppard, who had just arrived in the Philippines after serving in New Guinea. Homer courted Masy, slipping letters to her in his shirt pockets via her sister. After a year, Masy moved to the barrio of Esperanza, on Camotes Island, to finish school and worked as a first grade teacher. Meanwhile, Homer continued mailing letters to her two or three times a week, even after he was discharged and had returned to his previous job at Ford Motor Company in Dearborn. He asked her to marry him and move to Michigan and after much contemplation, she agreed. My parents were in Cebu. I did not tell them [that I was leaving]. . . because I know they are not going to let me go. And I cried, because it is not the right way to do it. But (laughs) I wanted to go to the United States, to be with my husband-to-be. So, I left. I was so brave, traveling alone. I had all my papers ready because the Philippine Red Cross help me and the American Red Cross, also. . . I took the Pan American World Airways. It’s a big plane but it is propeller type. . . It takes a long time. We stopped on almost every island from Guam to Wake Island to Midway to Honolulu to San Francisco. . . It’s a long trip, it’s a long trip, honey. I slept in San Francisco at the YWCA, free. I did not have any money. Well, I had money but I didn’t want to spend it. Then I arrived in Willow Run Airport. It is not Romulus, it is not big Metro Airport, it is Willow Run, close to Ann Arbor. So I was there and I called my husband-to-be to pick me up. He didn’t know whether I was Downtown. . . or at the airport, so he went Downtown. That is quite a ways from Dearborn and then he went to Willow Run. . . I arrived at his brother’s house in Royal Oak. . . early morning, about five o’clock. I stayed with his sister, his brother and family for two weeks, while our papers were being processed so we could get married. And, July 25, 1947, we got married at Most Holy Trinity Church, Sixth and Porter, Downtown [Detroit]. A patriotic person, Aunt Masy never wanted to admit that racism existed in America, even as she remembered tales of being questioned of her ethnic identity when she first arrived. 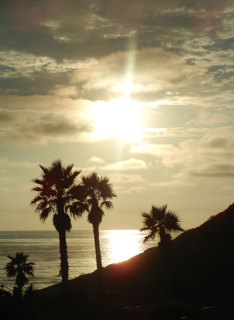 “They thought I was from Hawai’i because of my brown skin,” she said. Instead, Aunt Masy found happiness in making new friends and creating community. When new Filipina/o immigrants would arrive in the area, she and her husband would pick them up, drive them around, and host them in their home in Detroit. They lovingly connected local Filipina/os together in the post-World War II period, when there were few families in the area. In 1952, Tomasa and five of her friends founded the Filipino Women’s Club of Detroit, a mutual aid, social-civic organization that provided scholarships to students and promoted Filipino and Asian American culture. Tomasa was elected President twice of the Filipino Women’s Club, proudly co-sponsoring events like Rizal Day Banquets in the 1950s, Christmas parties with folk dancing at the International Institute in the 1960s, and the annual Far Eastern Festival on Detroit’s riverfront in the 1970s. Indeed, Aunt Masy was the “ninang”, godmother, to two-dozen Filipino American children. Moreover, as a housewife, she would raise money by sewing wedding gowns and tailoring ternos – intricate Philippine ball gowns with butterfly sleeves – for Detroit area relatives and friends, then send the money back to the Philippines so her niece could go to school. After Homer Sheppard died in May of 1974, Masy remarried a widower, Victor Goloyugo, a year later in 1975. 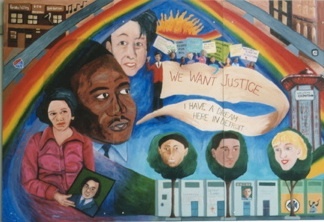 Victor was a Filipino American commercial artist in Detroit, whose painting of Jose Rizal now graces the main hall of the Philippine American Community Center of Michigan. Masy and Vic were married 18 years until his death in 1993. We thank you, Aunt Masy, for sharing your journeys and paving the way for future generations of Filipino Americans in Michigan. In addition to her husband (Lolito Balberona of Detroit), Tomasa is survived by her sister, Vicenta Laurito, of the Philippines, her nieces Dolores Ramia of Maryland, and Milagros Lictawa of St. Clair Shores, grandnieces Charissa Ramia of Maryland, Naimi McAndrew of Louisiana, and Rey (Tess) Parinasan of St. Clair Shores, and several great-grandnephews/nieces and relatives all over the world. A Funeral Mass will be held for Tomasa Balberona at 10:00 AM this Saturday, December 17, 2011, at St. Clement Catholic Church, 5275 Kenilworth, Dearborn, Michigan. 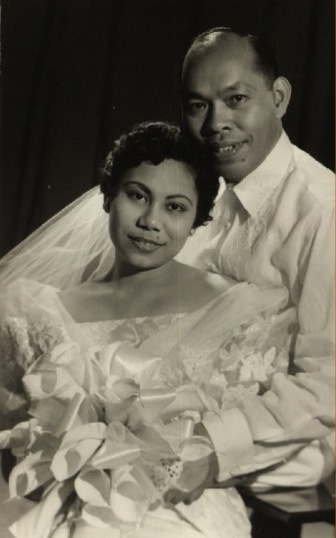 Emily P. Lawsin and Joseph A. Galura teach at the University of Michigan and are the co-authors of Filipino Women in Detroit: 1945-1955, Oral Histories from the Filipino American Oral History Project of Michigan. Emily is a Trustee of the Filipino American National Historical Society (FANHS) and Joseph is the President of the FANHS Michigan Chapter. Today, another memorial for our brotherfriend, singer-songwriter / National Poetry Slam Champion, Blair, will be held in his hometown of Newton, New Jersey. I wish I could be there, but have family obligations here in Detroit. Here are more haikus and poems I wrote after I heard that Blair died. Hearing such tragic news while out of town makes one realize what makes a city a home. I love and miss you, Blair. Thank you for everything you did for me, our family, and our world. my phone; i thought it was Grace. the news numbed, threw me. friend, queen of type keys. Blair Had a Fear of Flying? just to catch my breath. While everyone else in this Crowded House slept. On the radio, Purple Rain played. Trying to find us to wave goodbye? Lifting you up to your violet colored sky? Because you had not yet bid them Farewell? Who knew it really wasn’t your time to leave? The New Jersey Herald just published an article on Blair, HERE. To read the cover story Remembering Blair in Detroit’s Metro Times, click HERE. To read the article by Scott Kurashige eulogizing Blair, in The Michigan Citizen newspaper, click HERE. To read The Michigan Citizen article about Blair’s funeral in Detroit and the text of his “Detroit (While I Was Away)” poem, click HERE. To see videos of Blair performing songs and poems, see his manager Serious Artists, HERE. Rest in Peace and Poetry, my friend. singer-songwriter/musician/organizer/performer and National Poetry Slam Champion. Here are some of the poems that I’ve written as a result, Blair’s parting gift, I suppose. Oh no, oh no, oh no, oh NNNOOOOO!!!!! This cannot be happening.This cannot be true.Tell me something different.Not this.I need to hear something different.How can this be true?Why is this happening?Why did you leave us so early? Enjoying the whisper of words and lies unfolded. So, you know, this could just be “Telephone” gone bad, right? Muffled the real truth: that you are really alive. Didn’t mean to say that you died in your sleep, trying to escape the heat. Maybe I can just call you right now to see if you pick up. Maybe just to be able to hear the tenor and bass of your voice. Maybe you will call early in the morning, like you usually do. Maybe the heat is just getting to me too. Maybe I have really lost my hearing and am hallucinating. Maybe you were really an undercover agent, just assigned to Detroit to infiltrate the Left. Maybe the FBI decided to just give you a new identity. I would be perfectly fine with that. Listening to other people’s stories and writing your own. To even think that the most unbelievable could be true. You, the bravest, hottest man I know—died, maybe from the goddamn HEAT? That just makes no goddamn sense at all. We shared a typical Detroit summer day. Guessing correctly: another gift from my (other) gay brother. “Blair Hair Salon”, where I had always wished we had taken your photograph. And the five year old, for the first time ever, volunteered to be your opening act. “Lean on Me”/”Don’t Stop Believing”, a cappella. Well, why wouldn’t she, with you as her most influential and favorite “uncle”? Dangling from the electricity line that DTE still has not yet removed! The depths of your Ebony Eyes have seen much worse tragedies. And exited the party before sunset. Your Reasons for Leaving: to have family Sunday dinner at Matt and Bev’s. Their toddlers would be asking for you, their godfather, their “Uncle B”. Which I told you is a sign of royalty. Then share your bellowing laugh again. As she pulled on your hands and shirt tail, begging you to stay. How do I tell her the news about her favorite “Uncle” Blair? Even through a Crowded House, just for one of your big bear hugs? Just so the two of you can sing Ease on Down the Road, together. How to play guitar, what more, in a New York subway so she can pocket some change? How do I tell her that we can’t have that sushi-making tea party we had planned with you? Has to be cancelled, or changed? It will never really be the same? Today, we told our five-year-old daughter that you died. She cried a flood of crocodile tears like I have never seen her cry before. And she asked the same questions that we have: Why? I bit my lip so hard so she wouldn’t see it quiver with tears, that it left a scar. Her own way of saying extended family. “No, I don’t think so,” I said. “Nope, he never got mad at me,” he said. “On Sunday, we’ll have a parade of poetry and music with all of your friends. We are going to feel sad for a while, but that’s ok.
Oh yes, we can watch all of his videos and listen to his music. That we can play over and over again. “Uncle Blair died. That makes me so sad,” she repeated more, her face crumbling. As always, your divine intervention saved us. Do you want one of the two of you together? We printed two photos that she chose from the treasure chest of your albums. She cut them out, shaping slowly around your halo. And placed one picture inside each like planting a seed. She drew a ribbon of bows to anchor it near your heart. It is, by far, the most beautiful piece of art she that has ever made. name or talk to her, just sang. this earth, soaring high above. Names in your dream songs of love. Please donate to the fund. Every bit helps. Thank you.